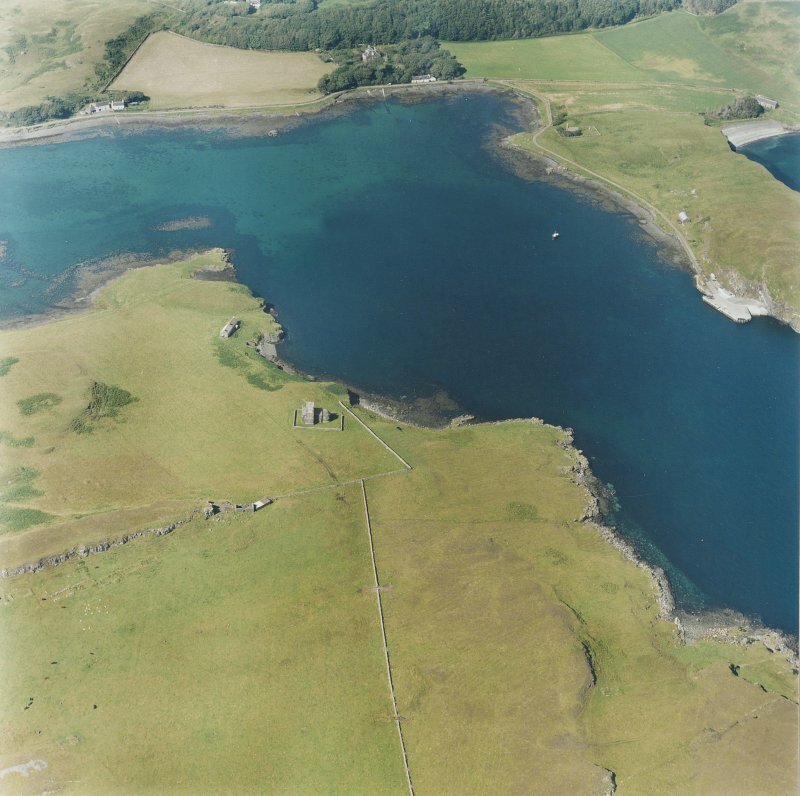 Scanned image of Canna, Church of Scotland. 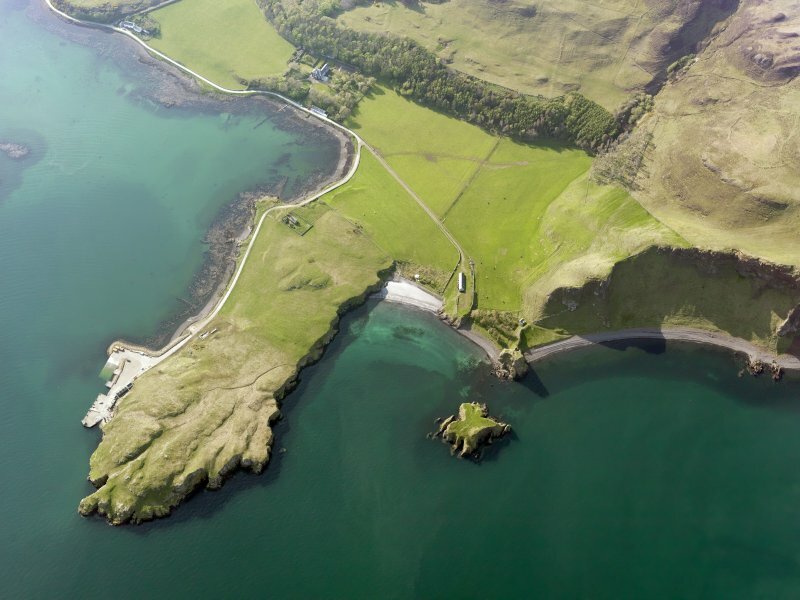 Canna, Church of Scotland: aerial view. 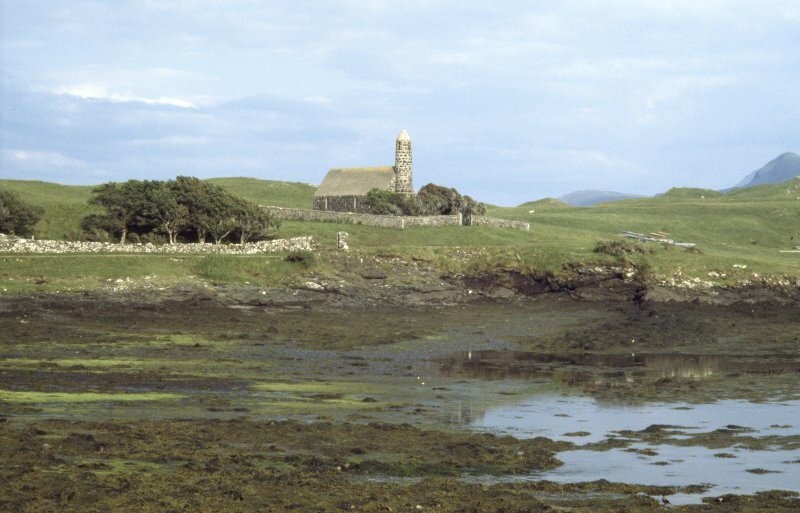 General view of church at Canna, constructed in 1912-14. 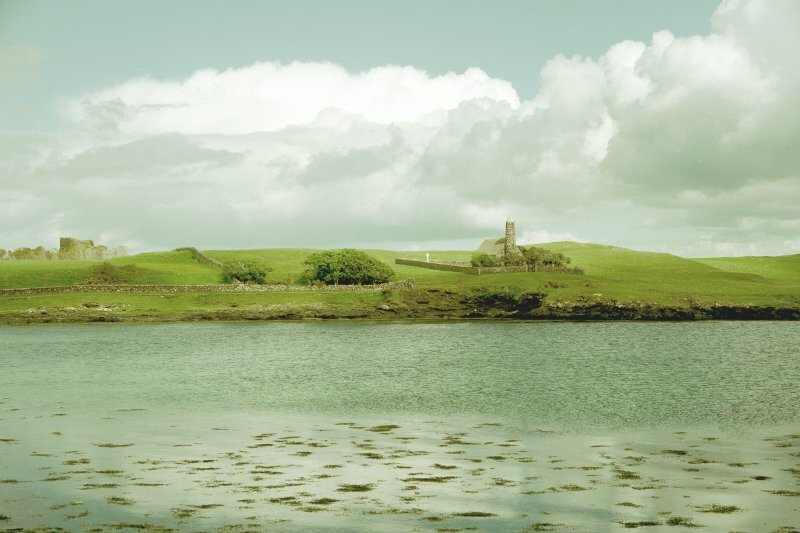 Canna, Church of Scotland. 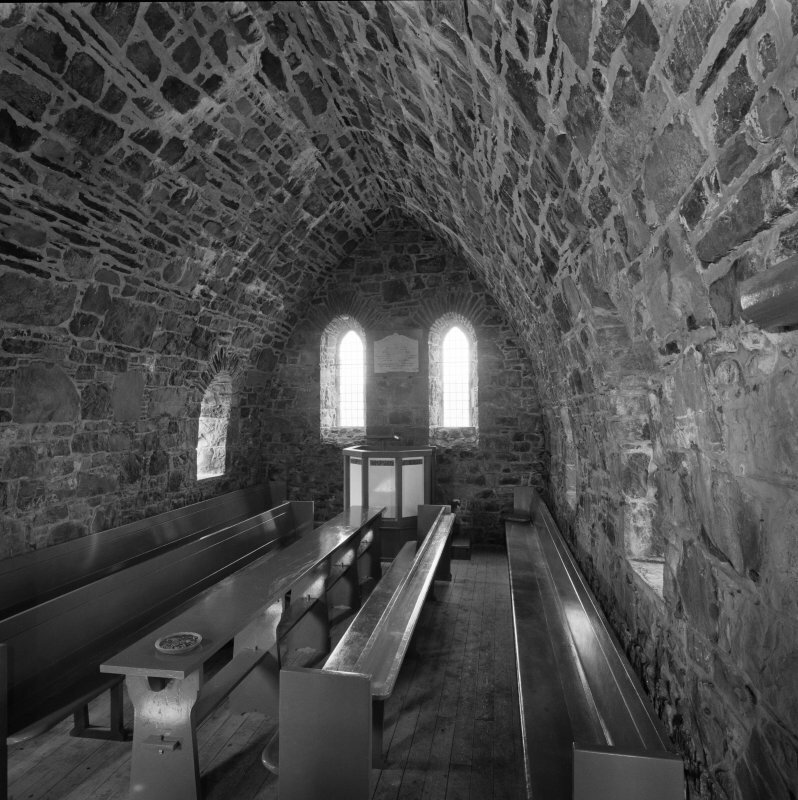 View of interior from W end. 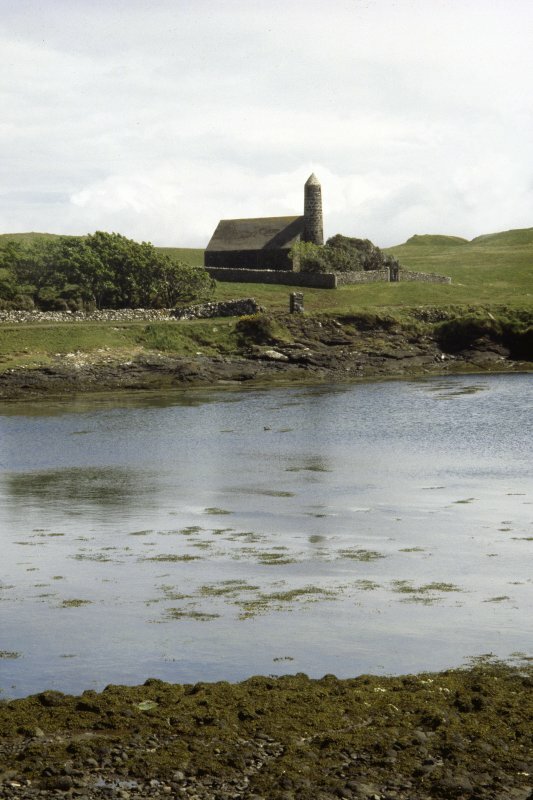 Canna, Church of Scotland. 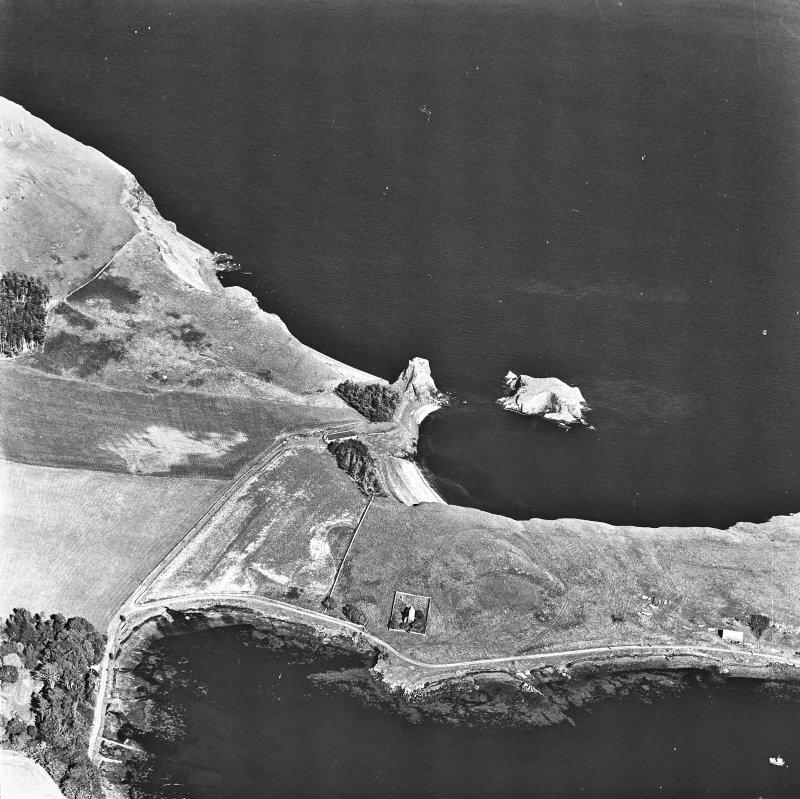 View from NE. Church of Scotland, Peter MacGregor Chalmers, 1914 Simple rubble church distinguished by its round tapering Irish tower, a landmark for the visiting fishermen for whom the church was intended. It was built as a memorial to Robert Thom. Ornate wrought-iron gate to walled burial ground added 1969. 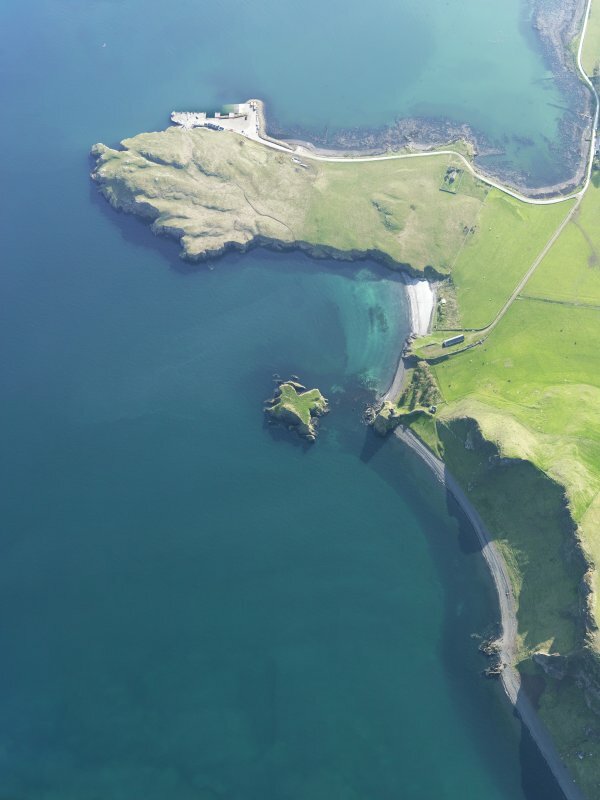 For discovery of Viking bronze pin, see NG20NE 12. Church of Scotland, by P MacGregor Chalmers, 1912-14. Beautifully simple lancet-windowed rubble rectangle. Pencil-like W tower of Brechin Cathedral tower type. Inside, a pointed tunnel-vault. 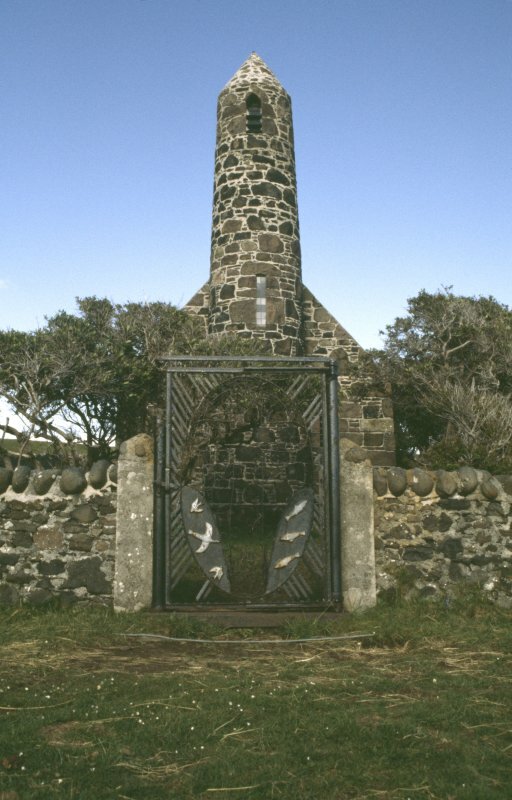 This small rectangular church was built as a memorial to Robert Thom by his son Allan G Thom between the years 1912 and 1914 and was designed by P MacGregor Chalmers; it lies above the track leading to the pier and overlooks Canna Harbour. 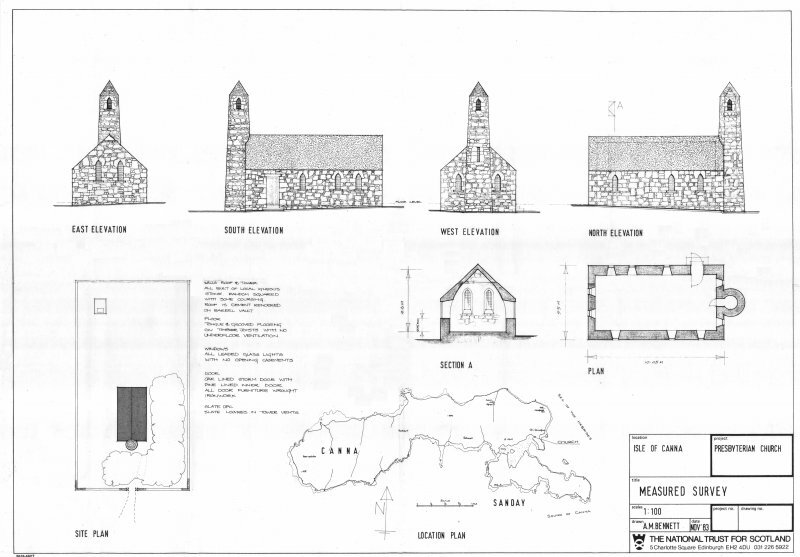 The church is oriented from ENE to WSW and is built of random rubble with pinnings; its roof is of stone, rendered externally, but visible internally as a pointed tunnel-vault. It is entered by a door at the SW end of the S wall, and has narrow pointed leaded windows, three in each side and two in either gable end. 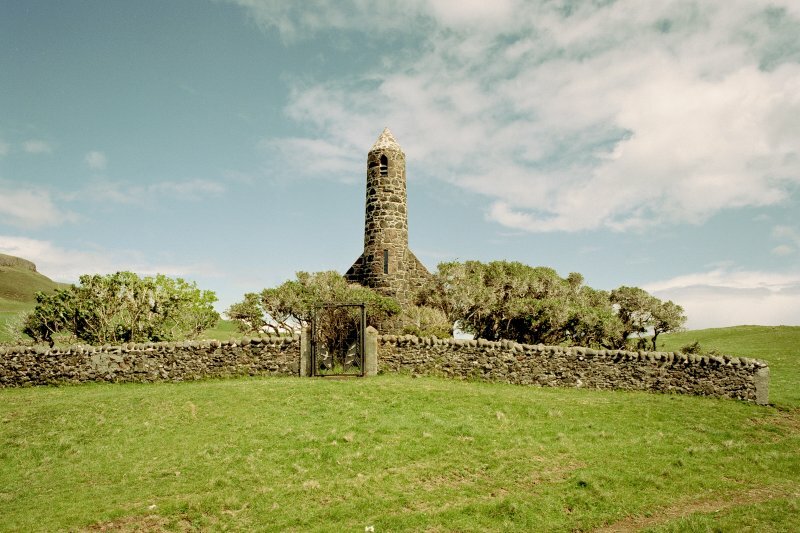 A round tower lies central to the W gable end, and is vented by similar pointed openings with slate louvres. 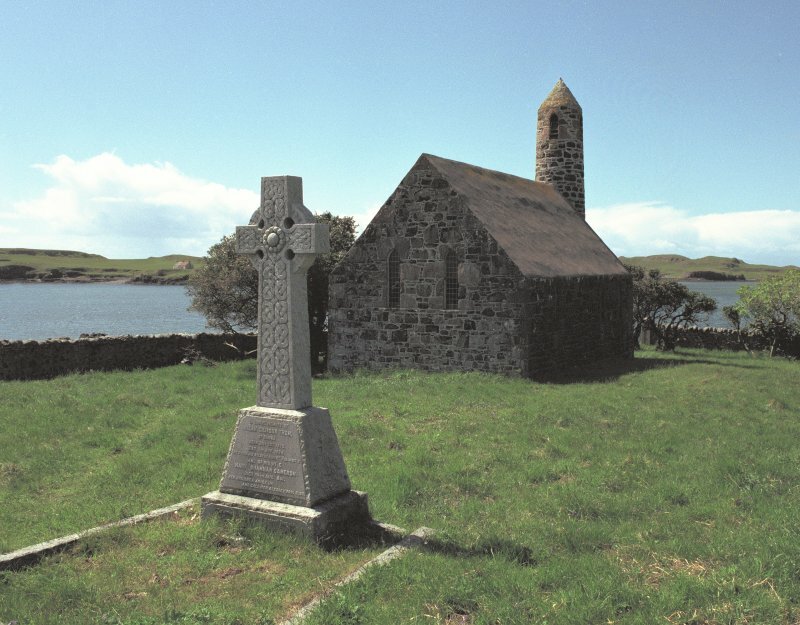 The church lies within a stone-walled burial-ground, which contains only one granite headstone, dedicated to Allan Gilmour Thom and his wife Mary Cameron. 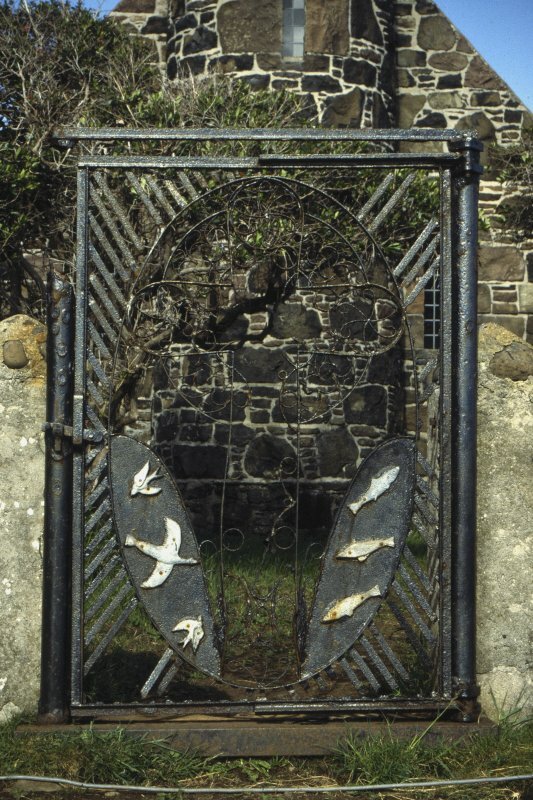 A fine ornamental wrought-iron gate in the W wall provides access to the burial-ground. It has a central oval panel containing the outline of a cross, which, below its arms, is flanked by two smaller infilled panels, one with three birds, the other with three fishes. 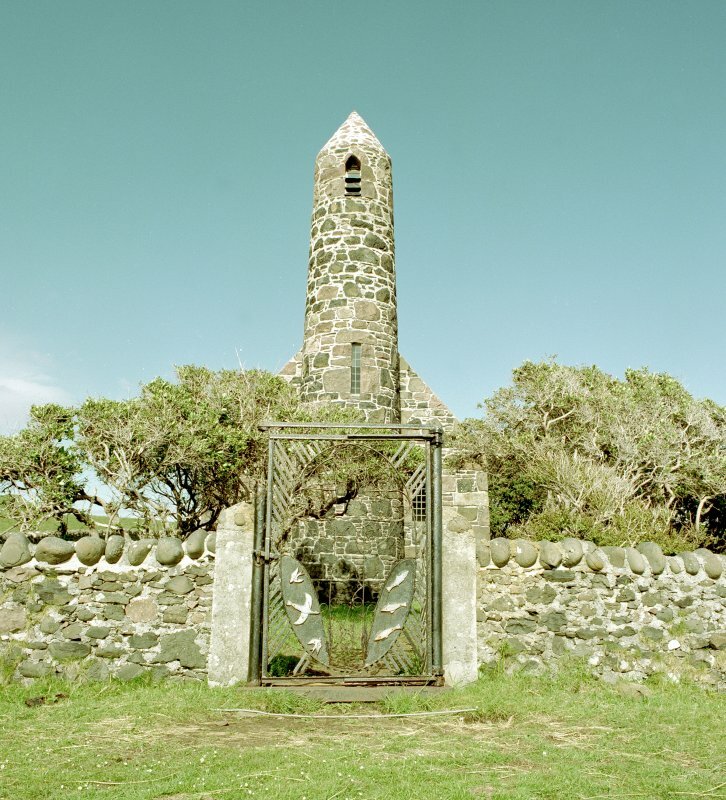 The gate was presented by Wallace Menzies and was dedicated at a service held in August 1969. 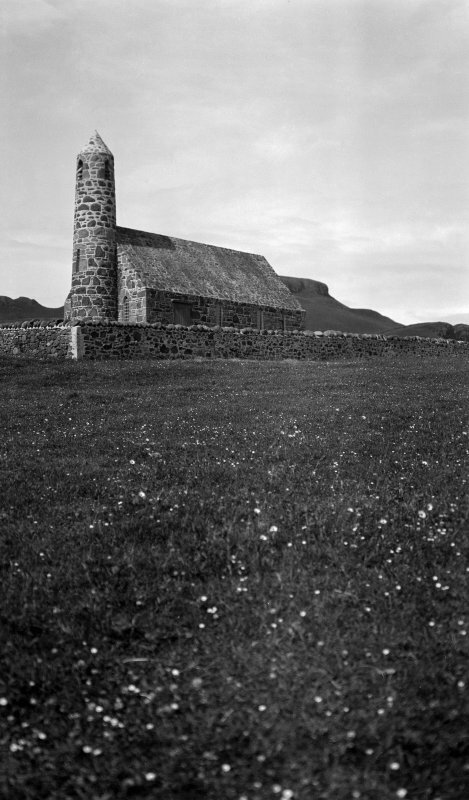 Photographs of buildings on Canna by the Scottish National Buildings Record in July 1955.